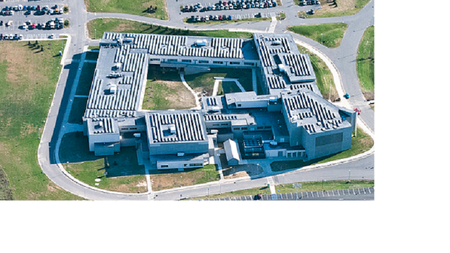 The Bordentown Regional School District currently operates a roof mounted, 395 kw rated, solar panel array located at Bordentown Regional High School. The array is designed to collect radiant solar energey and convert it to useable AC (alternating current) electricity. This Electricity is then directed into the electrical system where it is used to help satisfy the energy demands of the high school. If you would like more information about solar energy and how solar panel systems work please click on the below link How Solar Cells Work.